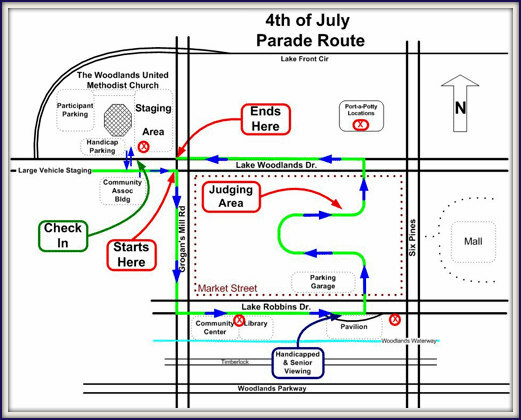 Come and join The Woodlands parade to celebrate the 4th of July! According to the schedule posted, the 1.3mile parade starts at 9:00am and ends at 10:30. It begins and ends at the Woodlands United Methodist Church. The Woodlands loves celebration and the 4th of July is no exception. This parade is a great entertainment for kids and adults of all ages. Restrooms will be available in strategic locations and a tent will be setup for the physically challenged and senior citizen in front of The Cynthia Woods Mitchell Pavilion. The Market Street Parking garage. The Blue, Yellow and Orange lots of Timberloch Place. 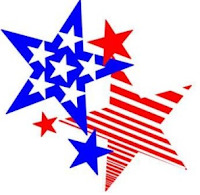 Don’t miss this tradition that remind us all just what our country stands for and brings together friends, family and neighbors for an old-fashioned, hometown parade through the streets of The Woodlands! Remember, The Woodlands does not allow the sale or use of fireworks and sparklers of any kind.